the librarians, trustees and architects at #ALAAC18 NOLA, conference 23 June, who attended our program: 'Achieve the Library Design You Need. Communicate Effectively with Your Library Building Design Professionals'. Thanks too to the conference organizers and audio-visual staff for a seamless experience. If you have questions when you receive our protected PDF with NOTES on the conference website, please contact us. 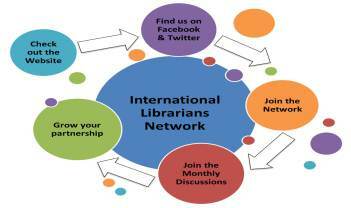 Get your Library Advocacy ON! Join us in Washington DC at the Liaison Hotel in Washington, D.C.
Tell your legislators what you really think. National Library Legislative Day is a two-day advocacy event held in Washington, D.C. every year. Attendees spend one day learning effective advocacy techniques and learning about key library issues, like funding or net neutrality, and have the opportunity to attend a reception on Capitol Hill. Then ... Armed with talking points, attendees spend day two with their state delegations, meeting with elected officials and telling them about the importance of libraries in their communities. Q.:Who goes to Washington for National Library Legislative Day? A.: Everyone who cares about library funding. This event is open to the public and anyone who wants to support libraries is welcome to attend. Whether you've been advocating for two days or twenty years, you have something important to contribute. But sign up soon - we have a limited amount of space each year and it fills up quickly! Visit the event page to register online. Registration this year is $75 and includes a continental breakfast, entry into a reception held on Capitol Hill, and a folder full of briefing materials, talking points, and information. To learn more about the event, check out our FAQ page or reach out to Lisa Lindle at llindle@alawash.org if you have any questions! "We signed the Declaration for the Right to Libraries"
LIbrarians Just Want to Have Fuun! 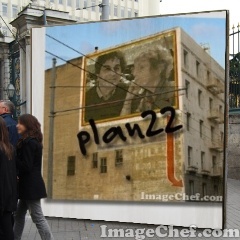 PLAN22 ~ What we do.